It so happens that I’ve resurrected an old laptop (Toshiba, over 10 years old!) and I want to hook this up to a TV downstairs. My choice, after getting information from my fellow blogger The Heretic (check out his blog here), fell on the Linux distribution Puppy Arcade. 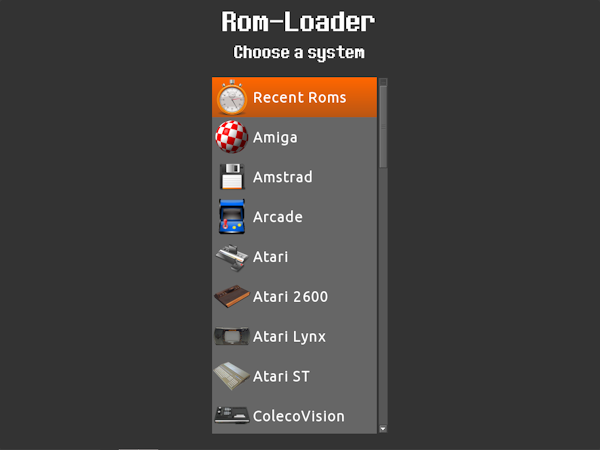 The beauty of this system is that it is tailored to emulation purposes and hence comes bundled with a ton of emulators, a ROM-Loader front-end and much more. It takes time setting everything up though, so I’ve spent many hours tweaking settings, installing ROM’s, getting joy-pads working and so forth. It’s looking pretty good so far and I’m happy to say that the laptop now boots directly into the emulation front-end and I can select which system to run and then launch a game (with the joy-pad!). Very, very nice! I’ll be back with more info on the system some time during this week. Will post some pictures for you all to see. 🙂 I’ve got a joy-pad here, USB, that looks just like an original SNES controller. It will be cool to play Diddy’s Kong Quest (SNES) with! Previous Upcoming Event: Amiga 30 years! Awesome! I hope you really dig it. I had some trouble getting it to run on my old tower, plus I couldn’t figure out how to get the arcade roms. Then the tower took a dive…oh well, at least I found a good replacement on my Mac that works really good, plus some other goodies that I will work into a post or two. You’re welcome! 🙂 Thought I’d have the system ready for the weekend, but still some tweaking and customizing to do. Nice work. Makes me regret giving an old laptop away recently. Thanks! 🙂 It can be worth preserving old hardware, at least for retro gaming purposes. My laptop is more than powerful for SNES, NES, Master System and that sort of consoles.